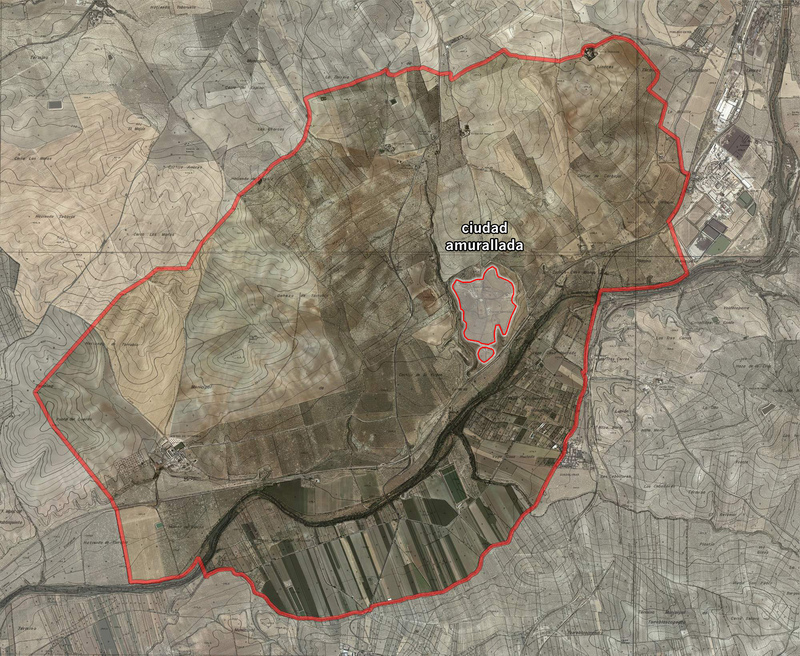 The archaeological area of Cástulo consists of a 34-hectare zone within the ancient city walls (labeled “ciudad amurallada” in the image at right), and another 3200 hectares of surrounding territory (in the larger, darkened area surrounded by a red boundary). This zone, which falls within the boundaries of the modern communities of Linares, Torreblascopedro, and Lupión, received its designation in an official decree of the Andalusian regional government on 26 July 2011. 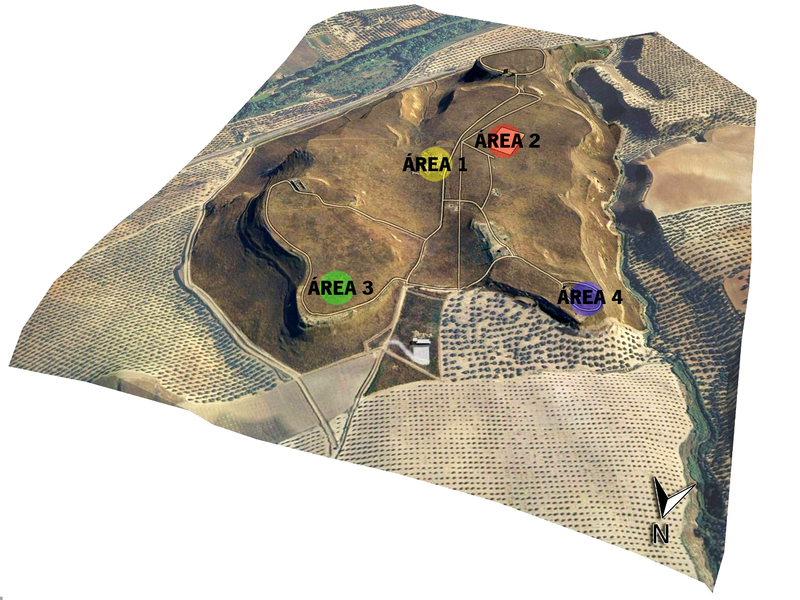 Of this, an area of almost 70 hectares is public property, managed by the Archaeological Ensemble of Cástulo, part of the Andalusian region’s Ministry of Culture, Education, and Sport.